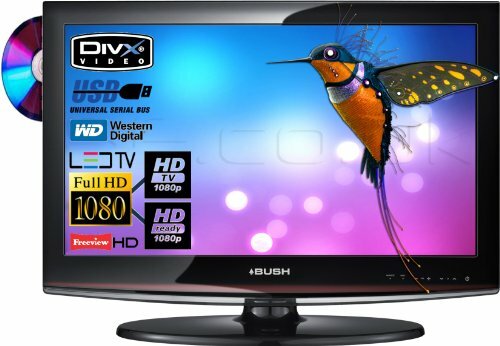 BUSH LED 22″ FULL HD 1080p FREEVIEW TV / DVD / USB PVR – 12v / 240v Dual Voltage for Car, Caravan, Motorhome, Boat or Truck! The new stunning 12v / 240v Bush 22″ 56cm LED Full HD 1080p widescreen DVD / USB PVR TV combi provides convenient space saving in your caravan, truck, car or boat with built-in Freeview, DVD player. – 56cm visible screen size. – Resolution 1920 x 1080 pixels. – View angle 170/160 degrees. – 1 HDMI + 1 SCART socket. – 1 VGA + 1 x S-Video socket. – 2 x PC audio input sockets. – NICAM stereo sound system. – 2 x 3 watts output. – Digital audio broadcasting (DAB). 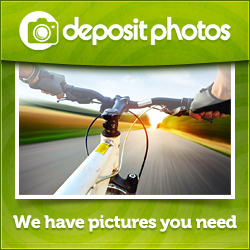 – Auto scan for new channels. – Now and next programme guide. – 7 day programme guide (EPG). – Top up TV compatible. – Hotel mode sleep timer. – 2 x AAA (included). – Size of TV H35, W53.5, D4.8cm. – Weight of TV 6.4kg (unpackaged). – Complete with tabletop stand. – Size of TV with stand H39.4, W53.5, D16.5cm. – Weight of TV with stand 4.8kg. – Suitable for wall mounting via the supplied VESA 100 x 100mm bracket worth £12.99. – Built in multi region DVD player. – Supports Mpeg2 / DivX etc. – Power consumption 58w max. Either power from the mains via the standard 240v lead, or use the supplied 12v lead in a car, caravan, truck or boat. 12v lead fits in standard lighter socket. FREE GUARANTEED NEXT DAY PARCELFORCE DELIVERY! Place your order by 3.30pm Monday – Friday and we’ll guarantee free next day delivery.